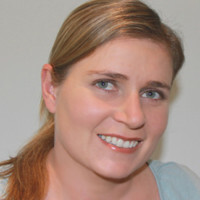 Helga is a User Experience consultant that has worked in the industry since 1999. She started Mantaray, a User Experience agency in 2006 in South Africa and has been involved with creating innovative products and services for the African market. Her focus is in the digital environment understanding customers and assisting clients in developing products and services that are innovative in meeting business objectives and answering customer needs. She works from the initial strategy level through to final implementation of the digital product or service. Mantaray is the African partner of the UX Alliance which consist of 26 UX agencies worldwide that collaborate on global clients in meeting UX research and design demands. Helga is currently the elected COO of the UXalliance ensuring the strategic objectives are met of the partnership.